A water ionizer is more than just a source of alkaline antioxidant water. Granted, the primary use of water ionizer in most homes is for drinking. Some water ionizer owners even use alkaline water for cooking. But the acidic water produced by a good quality water ionizer has many other uses that are often overlooked. If you haven’t looked into the many uses of acidic ionized water, this article will give you some good ideas about how to get the most out of a water ionizer. You should understand that acidic ionized water is produced by “electric” water ionizers which use the process of electrolysis to ionize the water. So called “non-electric” water ionizers and “antioxidant water filters” are not the same. Because these non-electric models “ionize” the water by adding minerals which interact with ceramics and magnetic elements to alkalize the water and give it a negative charge, there is no separation of alkaline and acidic minerals. Acidic minerals are either converted or overwhelmed by the alkaline minerals in these systems and are not available to create a separate acidic water source. During the electrolysis process used by a true water ionizer, alkaline minerals and acidic minerals are separated and dispensed with the water carrying them through different outlets on the unit. Every time you produce alkaline water with your water ionizer you are also producing acidic water that can be collected and put to good use. The two most common uses for acidic water produced when dispensing alkaline ionized water are for plants and for quick clean-ups. Most plants do well with acidic water. Many people have reported that plants they’ve had for years seem to go through a growth spurt when given the acidic water runoff from their water ionizers. Just the fact that your plants are getting non-chlorinated water is enough to improve their health. Fresh cut flowers also stay fresher longer when you put them in a vase filled with acidic water. When you buy fresh cut flowers at many stores you will find a packet of crystals recommended to extend the life of the flowers. Part of the preservation properties of these crystals is their acidity – and often they make the water cloudy. Putting fresh cut flowers in a vase filled with the water collected from the acidic drain hose of your water ionizer will leave the water clear and help extend the life and freshness of the flowers. Another common use for this water is for quick clean-ups around the house. For spills and messes on countertops and stovetops, keep a spray bottle filled with water from your acid drain hose handy instead of reaching for a sponge and using tap water or chemical based cleaner. 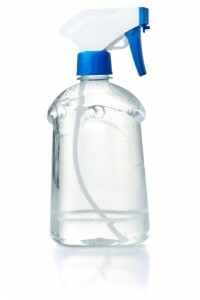 Although this water won’t be acidic enough to kill bacteria on contact it is ideal for quick cleanups of little messes. Small children with messy faces and sticky hands are a great way to put this same water to use. Spray their hands down and wipe clean or pour the acidic water on a soft cloth to wipe hands and faces clean. No chlorine, no soaps or detergents, just clean water to wipe away the messes. When used as an after-shave, acidic ionized water can soothe razor burn, stop bleeding and prevent irritation. The water removes residues left behind by shaving creams. You can “splash” it on your face as a rinse or wipe the area clean. If you use any sort of moisturizer or skin conditioner after you shave you will likely find that these products penetrate the skin more quickly. This same acidic water can help reduce or eliminate flaking or itchy scalps. After shampooing, pour the acidic water directly over your head before stepping out of the shower or use a spray bottle to get the water to the scalp. Gently massage the acidic water into the scalp and – depending on how much hair you have – comb it through. If you have more serious scalp issues, spray the problem areas a few times during the day whenever possible. Acidic water relieves itching, helps eliminate or reduce dry scalp and also closes the hair follicles which can help make hair more manageable. Using either a spray bottle or a cloth soaked with acidic water, apply this water to your face and body after showering. Some body soaps can leave residue behind that irritates or dries out the skin. Using acidic water as a post-shower skin treatment helps remove soap residue that may have been left behind. Dry patches or red spots can begin to clear up. Bites, scrapes or scratches you might have will heal more quickly. Many with slow healing wounds find that using this water as a post-shower treatment helps speed up the healing process. Use acidic water as a mouthwash to rinse away bacteria. After brushing your teeth, rinsing with acidic water will help remove toothpaste residue. If you see bits of blood on your toothbrush, the acidic rinse will help stop the bleeding. Many report healthier looking and feeling gums after using acidic water as a mouthwash on a regular basis. Rinse your toothbrush with acidic water to help eliminate bacteria. Some people actually store their toothbrushes in acidic water after they brush. For itchy, dry or burning eyes, acidic water is actually a soothing rinse. A few couple of drops in each eye will help soothe itching and burning. Gently flushing the eyes with acidic water will safely wash away any irritants or particulates that may be causing discomfort. Depending on your source water and the pH of the alkaline water you are producing, the acidic water coming from the drain hose will be in the range of 5.0 – 6.0. This acidic level is considered safe for almost any use. This water is readily available and being produced every time you fill a glass or bottle with alkaline ionized water. Keep your acid drain hose flowing into a bottle in the sink and use it. As the bottle fills up, pour it on plants around the house or in the yard. Give your counters and appliances a quick wipe-down. Give your sponge a quick rinse to reduce bacteria buildup. The acidic water byproduct is another benefit of owning a water ionizer. Most water ionizers will produce water at stronger acidic levels that can be used for many other things as well. Take a look at the Alkalux or the KYK – those machines have the best “bang for your buck.” And they both produce great water.